Your enterprise resource planning (ERP) implementation training should be all-inclusive. This is one of the most crucial elements of your deployment and it should not be skimmed over. Your staff will be learning how to run your business on a new platform and this will greatly affect your success after your implementation is done. 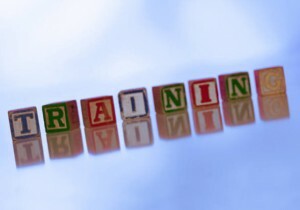 Train the trainer involves training the super-users at your locations. These super-users then go to your various locations and train your staff. This is great if your super-users are good at training and conveying concepts to learners. If not, leave this type of training to the experts suggested by your implementation software vendor. Instructor led training typically involves an experienced expert who guides your employees thorough the new processes on your new software. This expert should be prepared to deal the capacity of the software and how it will be used within your company. Encourage your employees to ask questions related to their jobs so they can be prepared for situations that will occur after the expert leaves. Computer based training involves your company watching the software in action CD’s or internet webinars. This type of training can be limiting if updates are released prior to your implementation and it does not allow of real hands on experience. Once you have decided on your type of training, make sure your employees are aware of the importance of this training. This training should be stressed because its success will determine the success of your company’s performance on your new software. Use this ERP training template to mange your upcoming ERP training schedule, mock lives, and support.